Lee (Working Mates Does Trick For Treat) was at a puppy show this weekend and became BOB puppy! Critic: Utmärkt typ och helhet. Feminim med bra storlek. Mkt vackert huvud och uttryck. Utmärkt bett och pigment. Välställda öron. Snygg topline. Välkroppad och välkonstruerad. Goda vinklar. Välburen svans. Utmärkt päls med tilltalande färg. Mkt välgående. Väldrillad. Välvisad. Utmärkt temperament! Congrats to owner Tina Gavling!! WM Prazsky Krysarik E-litter has arrived! Debute in Obedience for Grynet! MyDog-First show of the year! Successful mating in the new year! Kit - World Winner 2017!! Nacho - 100p in Nosework! Nosework with WM Catch Me If You Can "Nacho"
Obedience debut for WM Ever So Clever "Jack"
Darwin - SWEDISH OBEDIENCE CHAMPION!!! Patela test on Kit & Saphira! Junior completed 2 tests in Nosework! Lee competed in Obedience class 2! Myran competed in Rally obedience. Doris competed in Obedience class 1! Myran & Lizzy´s HD/ED results! 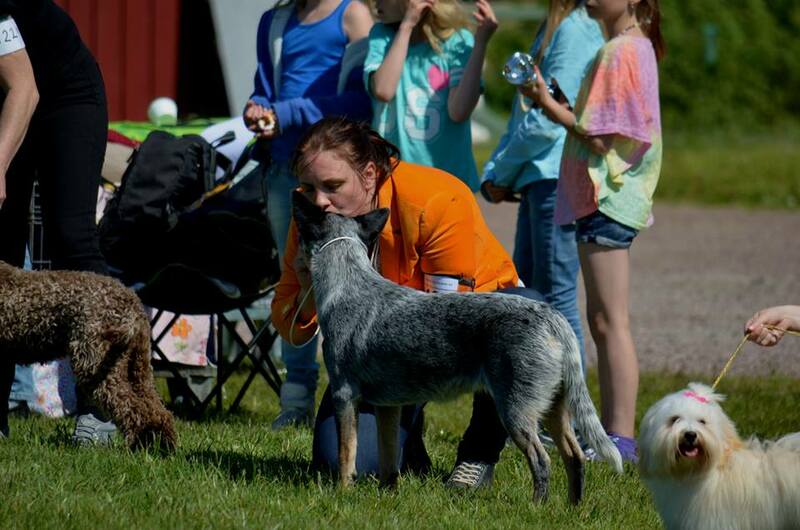 Mania competed in Rally obedience! Good luck to the F-litter! Myran - CAC & BOB in Gävle! Troy- now in jump class 3! "Eve" Club winner in Switzerland! Troy- winner in Agility class 2! We welcome Jack to us at WM! KIT BOB at Västerås NAT! MH with Darwin & Lee! BH - test with Doris! Doris first competition in obedience! 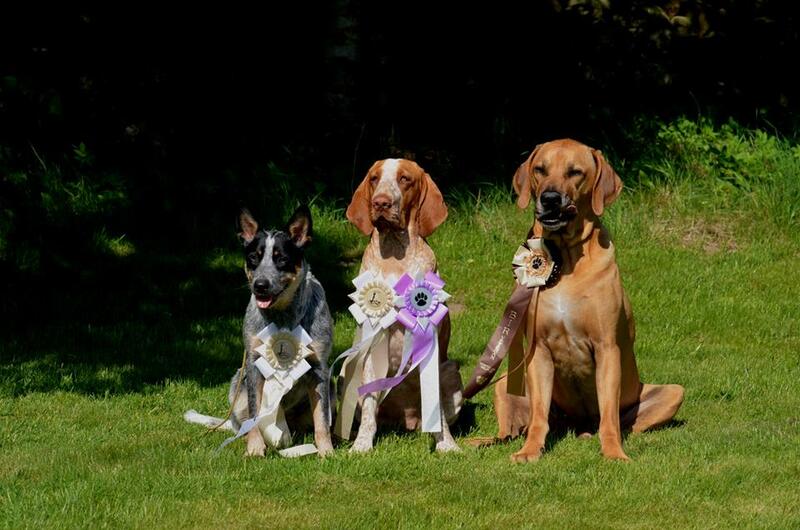 3 ACD´s from WM at Swedens winner show! Thaison at Sthlm INT. Easter show! Lee BOB at Malmö INT.! Puppies born Friday the 13th! Thaison - Dog of the year! Trillian got her SAR diploma! Darwin competed in obedience class 3! Rizla passed obedience class 3! Darwin competed in obedience class 2! Lee - Feild Tracking Champion! Kit at her first show! Working Mates Demolition Expert - BIS 4!! Storma - 1:st prize in obedience! Storma got first prize in obedience! 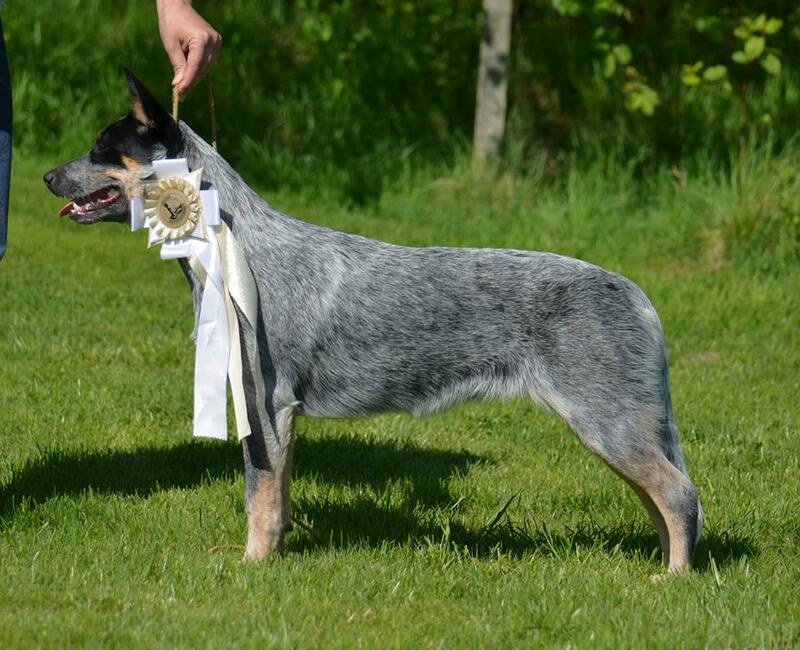 HUGO - SHOW CHAMPION TODAY!!! WM Catch Me If You Can - BIG 2 puppie! Junior - the allround dog at Matfors BK! Happy B-day to WM (ACD) B-litter 2 years today! In the lokal news paper! Eve in Germany gave birt to 9 pups! Nixon BOB again- day 2 of MyDog! The D-litter in their new homes. Successful mating between Rocky & Saphira!! Hugo - BOS in Denmark! WM ACD C -litter in their new homes. Little (Lilo) has found a new home! Our PK puppies have moved to their new homes! Mating Between Junior & Mania! The first Working Mates Show Champion! Junior passed the test for Patrol dog! Our ACD C-litter is here! Trillians first test in Search & rescue! Visitors from the Czech Rep. Happy Birthday to the ACD A-litter! Eye (CERF) check with Storm! Eve - BIS at clubshow! Junior competed in Rally obedience! X-Ray results for Junior & Nixon! Junior in a "head to head" show competition! Nixon at Norwegian Winner show! Danish & Nordic Winner in Herning- Denmark! Admission test for patrol dogs! Competition in tracking - Junior. Agility with Sydney & Rocky! Trillian got another CAC in Finland! Rally obedience with Sydney & Queenie! Happy Birthday to WM A-litter, 1 year today! Trillian became BOB in Finland! WM Ants In The Pants in her new home. Nixon at his first show & Mania and Sydney was on seminar for Emily Larlham! Storma at Vännäs national show. Show weekend with the A-litter! New pictures of the B-litter! Storma at her 2:nd Show in junior class! New pictures of Working Mates Admire My Fire "Trillian"
MH with Mania & Primo at Västerås NAT. Working Mates Another Dewil "Junior"
The B-litter has left the nest. BAER test with the B-litter. Freestyle competition with Sydney and Junior´s first puppie show! New family members at Working Mates! Rizla & Storma's first puppy show! Hearing test with the puppies! Vallentuna Int & Österbybruk Nat. Succesfull mating with Queenie and Dewi! Finland day 2- Finnish Winner. Norwegian winner with Rocky & Queenie! Show in CZ with Rocky! Stockholm International show with Rocky!